A few things will make your flapjack cooking experience go smoother: owning a big bowl, a whisk, and a spatula; a ladle to scoop the batter from the bowl and to pour it in the pan rather than using a spoon; and dedicating your full attention to the task at hand (no texting, social media posting, or other kinds of multitasking in the kitchen). If you can manage to abide by those guidelines, you can have a piping hot short stack saturated with melting butter and dripping with maple syrup in under ten minutes. The recipe below is a riff on IHOP’s beloved pancakes. If you really want to impress your breakfast guest, feel free to add toppings like chocolate chips, toasted nuts, whipped cream, fresh berries, or sliced bananas to your perfect pancakes. “Good morning” indeed! Combine wet ingredients in large bowl; whisk until combined. Gradually add in dry ingredients and stir just until incorporated. Batter should be slightly runny. Do not over-stir. Heat skillet over medium heat. Spray with cooking spray. Using ladle, pour 2 pancakes’ worth of batter into pan. 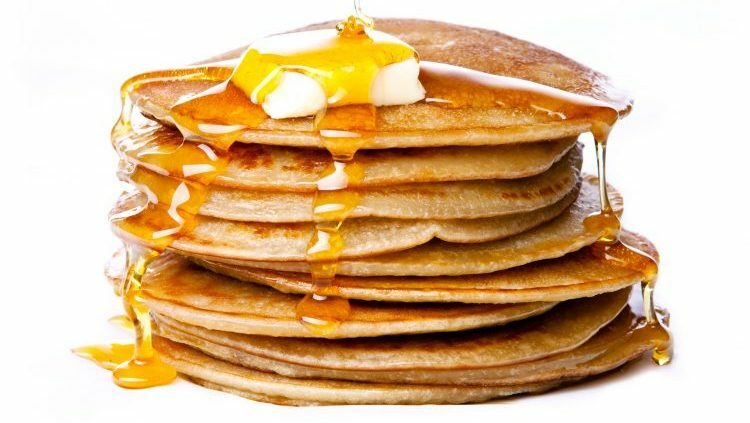 Watch pancakes closely until tiny bubbles begin to appear in surface of batter. Use spatula to gently lift pancake and peek to see if cooking side is golden. If so, flip and cook second side. Transfer your perfect pancakes to a clean plate. Spray skillet again with cooking spray and repeat pancake-making process until you have used all of your batter. Serve with substantial pats of butter and generous drizzles of syrup.